I am no stranger to solo travel. In fact, in the past five years, the majority of my travel has been on my own. I've done all sorts of things solo: train trips, city breaks, adventure tours, and more. But one thing I had not done before was go on a cruise by myself. To be honest, I never used to think cruises were good for solo travel; they're typically something you do with a partner or family members, and I wasn't convinced they could be enjoyable for a solo traveler. 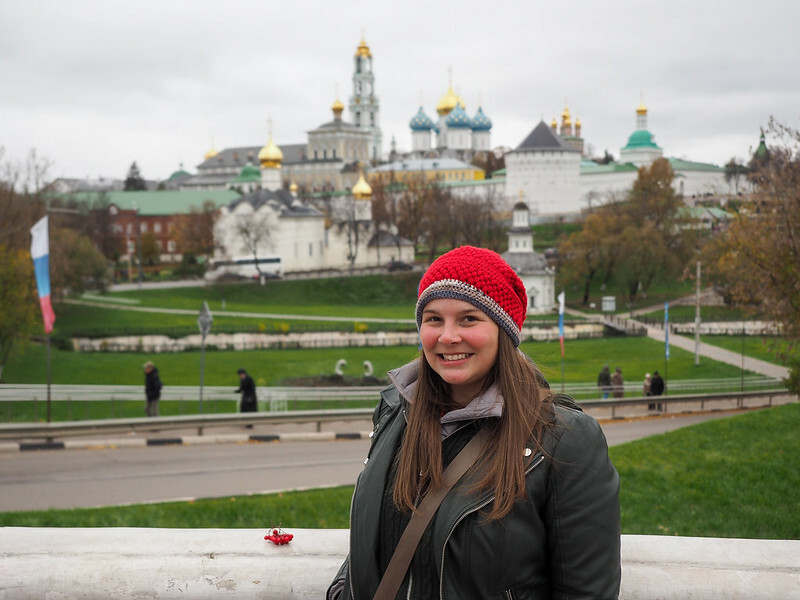 But when Viking River Cruises invited me to try out their “” cruise through Russia in October and I couldn't find a travel buddy able to join me, I decided to just go on my own. Having traveled with Viking before, I knew what to expect going in – and I was relatively confident that it wouldn't be *too* awkward as a solo traveler. And you know what? I actually LOVED it! I'm a bit of an introvert to begin with, so I actually enjoyed having a cabin all to myself to retreat to for a relaxing cup of tea after dinner, or in between excursions to edit some photos or just watch the news. The state rooms on Viking's ships are more than large enough for one person to spread out in, and after a few weeks of changing hotels every 1 or 2 days, I was SUPER excited to unpack and hang all my clothes up in a closet! Being on my own also made getting to know people on my cruise extremely easy. When you are both the youngest person on the ship AND traveling alone, you tend to draw a lot of curious inquiries. Meaning I met a ton of fascinating travelers and had some great conversations – especially over meals. Since Viking doesn't do assigned seating for anything, I often joined different people at each meal. I wasn't sure if it would feel awkward to be alone on a luxury cruise like this, but it actually wasn't awkward at all. In a group of 190 people, you're bound to find at least a few that you'll click with, if not more. And, because I didn't have to take into account another person's interests or preferences, I had complete control over my time. I could sign up for the tours I wanted, listen to the lectures that sounded interesting to me (an hourlong presentation on the Romanov dynasty? yes, please! ), take naps in the afternoon if I felt like it, and even wander off on my own for a few hours like I did in St. Petersburg. Viking offers plenty of things to keep you entertained both on and off the ship, but there's never any pressure to do any of it. So even though I was on a cruise with escorted tours offered, I still felt like I was able to do my own thing, too. Remember how I said that being a solo traveler makes it super easy to talk to people? Well, the downside of this is that you'll probably answer all the same questions over and over – mainly about what you do and why in the world you're on your own. As a frequent traveler (and blogger), I'm kind of used to this, though, and usually take it in stride. And thankfully most people thought the whole travel blogging gig sounded pretty cool! The biggest downside to doing a river cruise solo is the dreaded single supplement fee. This is when you have to pay for two people (or at least pay extra) even if it's just you traveling. Many travel companies assess this extra fee if you want your own room, so it's not something exclusive to Viking or cruise lines in general. 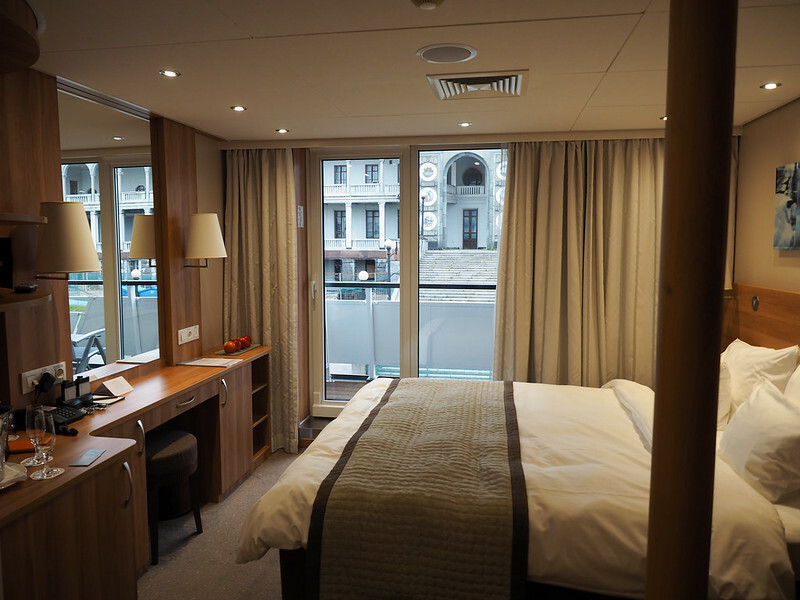 There ARE ways around this – last year, Viking offered some great rates for solo travelers on some of its more popular itineraries, and there are other river cruise lines that offer dedicated state rooms for single travelers (they just aren't always advertised). You can also look out for 2-for-1 deals, which would essentially have you paying a normal fare. Other than that, though, my solo cruise experience was really positive. 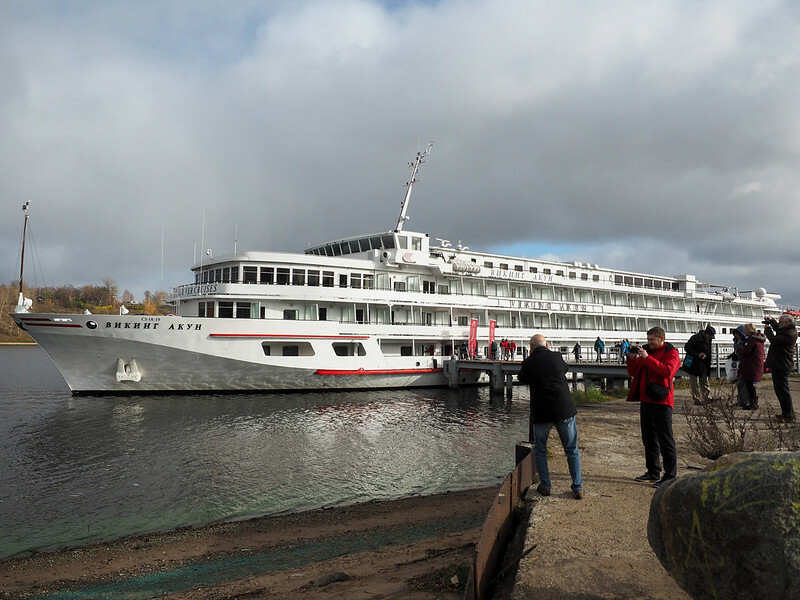 And hopefully as river cruising becomes more and more popular, more cruise lines will get on board (pun intended) with reducing or eliminating that single supplement. Who would enjoy a solo river cruise? … you enjoy spending quiet time on your own. … you like a little more independence when you travel. … you're outgoing enough to sit down and introduce yourself to strangers at meals. … you want to go on a river cruise but don't have anybody to go with. So, even though I didn't expect to be saying this, I would absolutely consider doing another solo cruise in the future! So what do you think? Would YOU ever consider going on a cruise solo? *Note: I was a guest of Viking River Cruises on this trip to Russia, and received a complimentary cruise. As always, though, all opinions are 100% my own. So, while I most certainly want to do a river cruise, I don’t think I’d want to do it solo. I feel like cruising in general, is one of those things that you want to be with another person to partake in all the fun with. But, I totally understand the appeal, time to yourself, no set agenda, no pressure. All in all though, looks like it was a good trip, thanks for sharing! I felt the same exact way until I actually committed to doing it solo. It was a lot more fun than I thought it would be – and I can now tell people who ask that yes, you definitely CAN do a river cruise on your own. funny enough i just went on my first solo cruise too! i did the fathom cuba trip and they don’t have assigned dinner seating either so your comment about being the youngest person peppered with (often the same) questions made me chuckle. i liked it but i also wished that i had someone to go with on the shore excursions. that part got a tad lonely! With Viking, the “excursions” are usually things like walking and historical tours, so I didn’t mind being on my own for those. But now if it had been a lot of activities? Then I could definitely see wanting to have someone along with me! oh sure you liked it. it was free. who wouldn’t? this is a commercial for Viking. those river cruises are terribly over priced. the 2 for 1 or supplement discount is when THEY want you travel not when i want to travel. Appreciate the opinion, Dale, but I’m not paid to write a particular opinion on this blog. Ever. It’s not “a commercial for Viking.” I didn’t have to write this post in the first place, but wanted to share my personal experience of going on a cruise by myself. If a river cruise isn’t for you, that’s totally fine! But no need to be so negative about it, OR judge the way anyone else chooses to travel. I went on this same cruise a month prior to Akatuki but with a different company & my single supplement was waived & I travelled when I wanted to as well. In fact my Russian river cruise & my entire time in Russia was cheaper than my recent two week holiday to Uluru & central Australia, my home country. Sad when it’s cheaper to go to Russia on the other side of the world than your own country. Your work is always inspiring.I have done some little cruising trip solo and I like it because I am free to choose what I want to do.How was your experience with the Russians since they are having some conflicts now with the USA Government after the Trump elected?Thank you and keep it up.Stay safe. Russia was very different than most Americans would expect – I had no issues at all as an American there! If any company charges a single supplement, they have lost me as a customer, no matter what the trip. I do all my travels solo and while I would love to do a river cruise, paying more for being solo just goes against everything I believe in. Glad you had a good time, Russia is on my bucket list! Huge downer for sure! Hopefully they will start to slowly go away. The posts you’ve written about your river cruise so far make it seem really appealing. And travelling solo wouldn’t bother me either – I’m used to people telling me how brave I am(!) The only thing that puts me off is the dreaded single supplement. So the more posts there are like this and the more comments there are then maybe the tour companies will start taking some notice and realise what a big market they’re missing out on. I really hope so! I know there are certainly more companies in 2017 that offer supplement-free travel for singles than there were a few years ago, but I really hope that number keeps going up! I would totally consider going on a cruise or tour by myself – I would probably even enjoy it more by myself as I can choose the activities I would like. I’ve never been on a cruise, but let’s see what the future holds. It’s a great way to travel solo without actually being completely on your own. I do a lot of tours solo! This is an interesting post to me as I generally travel alone and have been consdiering doing a cruise for years – but like you say, they just seem like a couple thing. If I do do it, I think I’d go with Norwegian as I like that they specifically advertise their solo rooms and areas. I haven’t done a big-ship cruise solo, but I think if you’re used to traveling that way and doing things on your own doesn’t bother you, why not? I never thought about taking a cruise alone, but your post makes me re-consider it! I’d love to sign up for allllll the cool tours without having to worry about anyone else. Exactly! I went on so many excursions/tours, and it was great not having to ask anyone else if they really wanted to do a 4-hour walking tour, or if they minded if we skipped out on the vodka tasting. I recently returned from my first solo cruise. This was my fourth cruise overall so very nervous about doing it on my own since I’m very introvert. I had a great time. So much so that I want to cruise again solo. The fact that I had the cabin ALL to myself is wonderful. Dinners were great as I was seated at a large table and met a lot of people. The single supplement is a huge bummer though. I understand the double occupancy argument for cabin space (like a hotel room) but for cruises, the meals and entertainment are included. I don’t eat for 2 people and I don’t take 2 seats in the theater! That’s just not right. Totally agree on the single supplement – it doesn’t make sense for cruise lines to charge it, especially because in most cases wouldn’t it be better to fill that room with one person rather than let it be empty? I could *maybe* understand in the case of very popular cruises that tend to sell out. But most of them are never totally at capacity. Cruises have always freaked me out because I can get seasick and they just never appealed to me, but these river cruises actually sound pretty awesome! I really enjoy reading about them. While I don’t know if I’d ever want to do a big ship cruise alone, a river cruise solo actually seems ideal. I know they still tend to attract an older demographic (i.e. my parents who have gone on two of them 🙂 ) and I’m definitely an old person at heart with my likes and interests. I do love beating to my own drum when it comes to what I want to see and do in a place. River cruises still do tend to draw a more mature crowd, but that doesn’t really bother me at all! Plus, the more people our age who start going on river cruises, the quicker that average age will go down! Absolutely, if it weren’t for the single supplement, solo on a river cruise sounds pretty perfect to me! I’m starting to become more and more interested in going on a river cruise. The part where I can unpack once and still visit different cities on one trip is certainely appealling. That’s a huge for me, too. It’s great to be able to see so many different cities, and yet not have to worry about the transport between them at all! 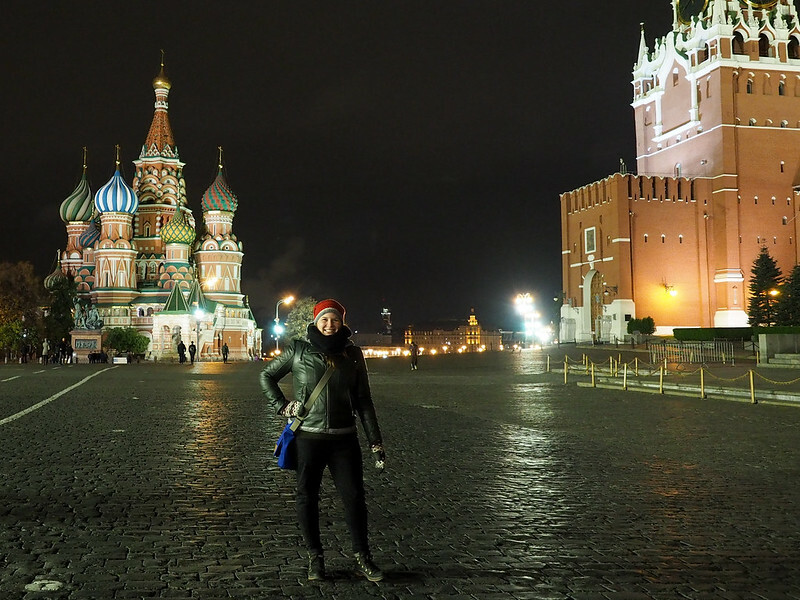 I am a 58 yrs old woman who would love to see a lot more of the world, so I really, really liked to read and see the pics on your solo cruise in Russia, and I think, it’s fantastic to let people know the opportunities out there. While I have never done solo travel, I know now I would definitely not feel daunted by it, and some day I will give it a go, Thanks Akatuki for showing me the way. I love this comment so much, Jackie! 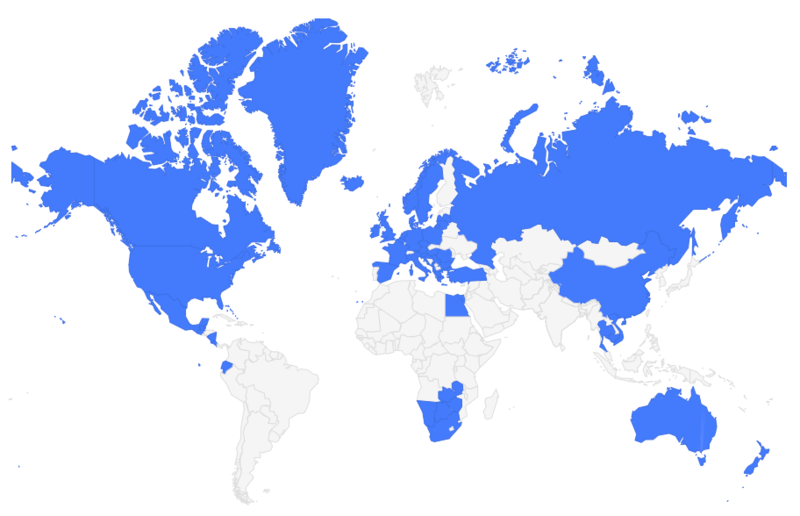 Thanks so much for reading – and I hope you do give solo travel a try one of these days! I am an active, fit 62 yr. old, who looks about 10 or more yrs.younger (so I have been told). I couldn’t find a friend able to go on the Rhine Getaway with me so I decided to get on their waiting list since I knew my brother and his wife were going and I really would not be alone. The Viking agent worked with me and about 4 weeks before the cruise departed there was a cabin for me. I did pay a little more, but in return I got free airfare, so it was a great deal if you are willing to wait it out. I loved having a cabin to myself albeit it was on the bottom of the boat with a smsllc water level window, but you really don’t stay in your room much and the upper decks, especially the sun deck was awesome for catching rays as you capture the awesome views of the castles snd countryside. I’ve been dreaming of doing a solo Viking River Cruise. It seems so much more authentic than a big Caribbean cruise. You’ve inspired me to start planning. That’s so awesome to hear, Jack! River cruising is very different from other types of cruising, and I personally love it! Love to hear about your traveling adventures. Russia sounds awesome. There are cruise lines that waive the single supplement on certain cruises – I would try looking for the ones that won’t charge you extra! Congrats on your solo cruise. To date I’ve completed 3 solo cruises on Princess. Sadly no special rates there, had to pay double occupancy. Aside from the double rate, it was a lovely experience. You may be a solo traveler but with 3000+ people on the ship you are only alone when you want to be. I’ve met some lovely people; families, couples as well as other solo travelers. In fact I’m still in with several folks I met on these trips. You get to do what you want, when you want. The first dinner is the hardest, but after that it’s smooth sailing. I’d encourage shared tables as you get to meet new people every night. If that’s not your thing, do a reserved seating and then you can eat with the same people each night. The only challenge for me are the specialty restaurants, they don’t really accommodate a solo traveler – but that didn’t stop me! Enjoy sailing and cruise on! Great to hear you’ve had so many great solo cruising experiences, Nicole! It’s definitely something I would consider doing again. After my husband died I thought my European travel days were over. Never had taken a tour we just rented a car and off we went. Two years went by and I decided that I missed the travel and decided to try a Viking Riverboat. I have now done 3 and planned a 4th in 0ct to Athens to Venice on a Viking small ship. Will see if I like it as well as the Riverboat . I started at 74?Wish Viking would make it a point to introduce the singles. That would be wonderful ? Isn’t Viking great? They do sometimes offer single room (or, at least no single fee) on some of their sailings, but I agree that it would be nice if they would extend it to all of their tours! Viking River Cruises has me on their list, and I dream of their offerings, but would have to go alone. I like the idea of River vs Ocean. I was super psyched to read your article and appreciate your honesty. It looks like loads of fun. I honestly wasn’t sure whether I would enjoy cruising solo, but I really did! I met some great people and would absolutely do it again. I did the Viking Christmas Markets River Cruise solo a few years ago. It was just wonderful! I got to know a lot of people but basically stayed on my own, which I prefer. There was a very minimal supplement for single. Now there is a Viking Ocean Cruise I want to take but there are NO single supplements for those. You must pay double for the cabin. That makes it impossibly expensive for me. I wonder if Viking will ever waive that requirement on their Ocean cruises. I never want to cruise again on those giant cruise ships with kids around. That’s what drew me to Viking! That’s great to hear that you enjoyed cruising solo, too! But yes, those single supplements are frustrating – I certainly hope Viking will eventually waive them on their ocean cruises too! Hi Akatuki, love your post. I took a Viking trip with my mom to Germany a couple of years ago and loved it. I was seriously thinking about taking a solo Viking trip to Amsterdam. I am concerned about paying double occupancy. Are the two for one deals mean I pay for just myself? I’m also turning 50 this year, it’s about time I start seeing the world and it’s beauty. You would have to confirm with Viking that you could book a 2-for-1 cruise deal as a solo traveler – I’m not sure if they have any rules about it. To be honest, Viking is probably the least solo-friendly river cruise line at present. There are some others that offer single cabins and/or that waive single supplement fees for solo travelers. I know AmaWaterways started a solo program this year! Curious, are the river cruises all “couples” or do you find couples-of-friends doing the cruise? My best guy friend and I are thinking of doing this, and trying to decide on what kind of room would be best for us. I was wondering if we will meet other non-intimate travel duos along the way. Hi Akatuki, better late than never as I just came upon your interesting article. So far I’ve taken four solo riverboat cruises with Uniworld, and have always gotten the single supplement waived or greatly reduced and I’ve always had a cabin with a great view. First cruise was to Provence when the lavender was still in bloom (gorgeous!). Next the Danube, so much rain we barely toured Vienna;( Then Northern Italy and oh how we dined. And last summer a wine-tasting cruise thru Bordeaux. I’ve taken some trips with girlfriends but when it comes down to it I’d much prefer solo riverboat travel. Everything you said is true– you have time for yourself in your own lovely cabin, you meet lots of people if you dine at the large tables, and you can choose which tours to take. One thing you didn’t mention which is a pet peeve of mine and something your readers might take into consideration–tho many more riverboat cruise lines now offer reduced or no single supplements, the cabins these deals apply to are usually the least expensive cabin category–think a very small room with a narrow window high up on a wall (no view, balcony or veranda). Same goes for the lines that are building their new ships with dedicated solo rooms. Next on my bucket list is a Rhine cruise with a stopover in Lucerne. Hope to see you onboard! Hi and thanks for your reply so late at nite. I compulsively search Ama solo specials but never found anything but a cabin that resembles a claustrophobic cell. Won’t give up tho! Props to you for answering the call to adventure! It takes a lot to get over the hang-ups one might have when it comes to solo travel, let alone solo cruising. It’s great that you addressed the social aspect because that’s such a large part of what people are worried about when it comes to solo travel. You just may have encouraged someone else to take the chance on a solo cruise with this post. Glad to hear you had a good time. It was SO easy to meet people as a solo traveler on a cruise – everyone wanted to know who I was and why I was by myself! Haha. I have been dreaming of a Viking River Boat Cruise for years and would be traveling solo – woman over 60! Will definitely be keeping an eye open for the solo deals. Thanks for sharing this information. I almost always travel solo, by preference. I did my first solo European river cruise last year (on the Rhine with Avalon Waterways). I had a blast and immediately fell in love with this mode of travel! I loved the ability to do as much or as little as I wanted. I never felt lonely, as there were many friendly people from all corners of the world (and all ages and all walks of life!) on board. I made many fiends I still keep in touch with. I loved that trip so much I am doing another one next month – this time on the Danube (again with Avalon). Avalon has a TON of sailings with the single supplement waived, which makes them a favorite in my book! Love your blog…I just started poking around here but look forward to exploring more of it! Keep up the great work! Good to know that Avalon has a lot of options without a single supplement! I think river cruising is a great way to travel solo, as long as you can get around that extra fee! I am having the same problem finding someone to travel with. If you ever need a travel partner let me know. I live in California and am planning a Viking cruise spring of 2019, Prague to Budapest. I am a very independent and happy going person, I could also travel alone, but the cost is too high. I wish I could say I have no idea what you’re talking about, David, but I totally do! There have been several instances on my travels where I’ve felt like I’ve received worse service because I was traveling solo. Thankfully these instances are rare – and I DO think the travel industry is slowly starting to recognize the spending power of the solo traveler! Thanks for your inspiration and honesty about traveling solo. I may end up doing this in the near future and appreciate your insights. River cruising solo is definitely something I enjoy – I hope you enjoy it, too, if you give it a try! 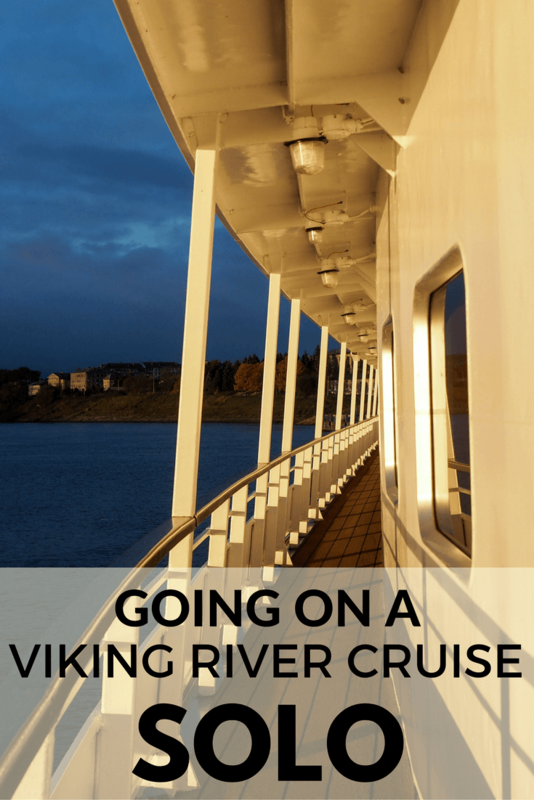 No experience yet with Viking as a solo traveller – but I will be going on Viking Idi ship this October (2019) and I very much enjoyed reading your experience on that ship on a Christmas Markets cruise … which I plan to do in 2021 … I will be experiencing solo travelling on a river cruise in October 2020 but not with Viking this time, as I found a company that has TWO (yes, like in 2) single rooms so there is a need to reserve a year and a half, or more, in advance ! Thank you for your insight on the Idi ship, my first Viking trip. Sounds like you really enjoy river cruising! Viking has some really lovely ships, so I’m sure you’ll enjoy your trip!